On last occasion we told about the celebration at BJORA / Borlind on the St.Lucia day. 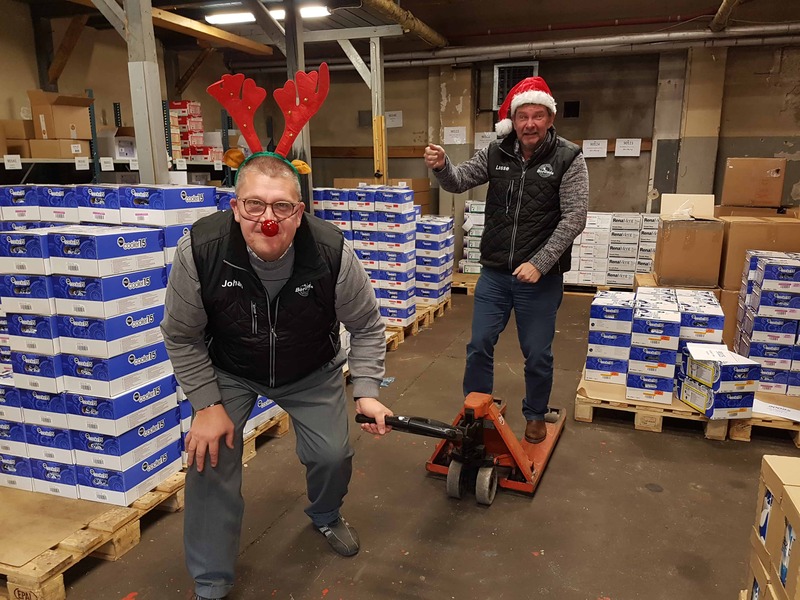 The visit from Santa and his deer Rudolf was quite successful among the staff, it became so successful that Santa and his favorite Rudolf decided to stay at site and to start working in the warehouse. On below pictures you will find some pictures from their first day, performing work in the warehouse of BJORA / Borlind. 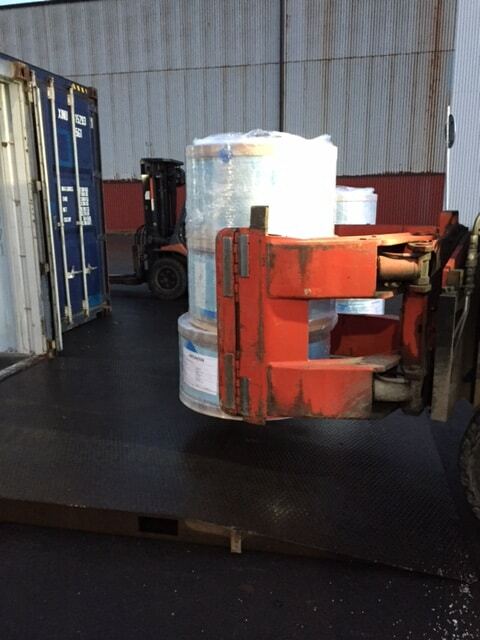 The first assignment was in the section of pick and pack, then it was container loading and forklift driving. Last but not least Santa needed to treat Rudolf by scratching his ears. All a happy sunshine story, but that is the way it shall work getting closer to Christmas. 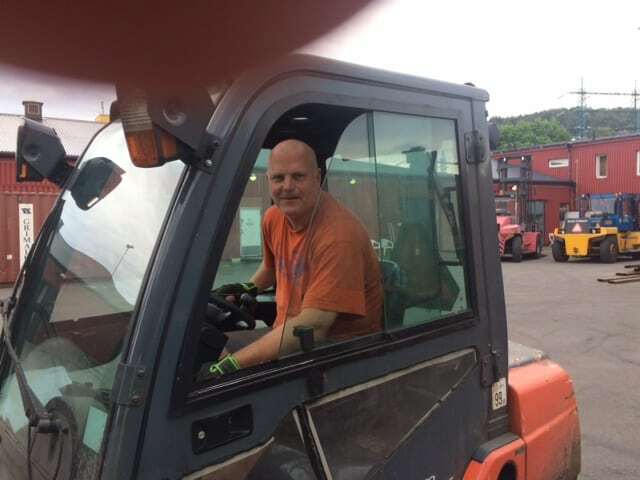 This is also how it works in the Group of BJORA / Borlind were all staff is well educated and have great knowledge in International Freight Forwarding. Welcome to try us out you to, you will not and never be disappointed. A boardroom can be used to a lot of important things…. Today the day of Santa Lucia anno 2016, our female crew prepared a very, very nice Christmas buffe for the entire staff. GREAT Thanks to the team. 12 a clock = noon, we all shared a bit of typical Traditional Swedish Christmas Food and enjoyed our time together. Even Santa and his deer joined the show and presented some Christmas Gifts for each and everyone to enjoy. 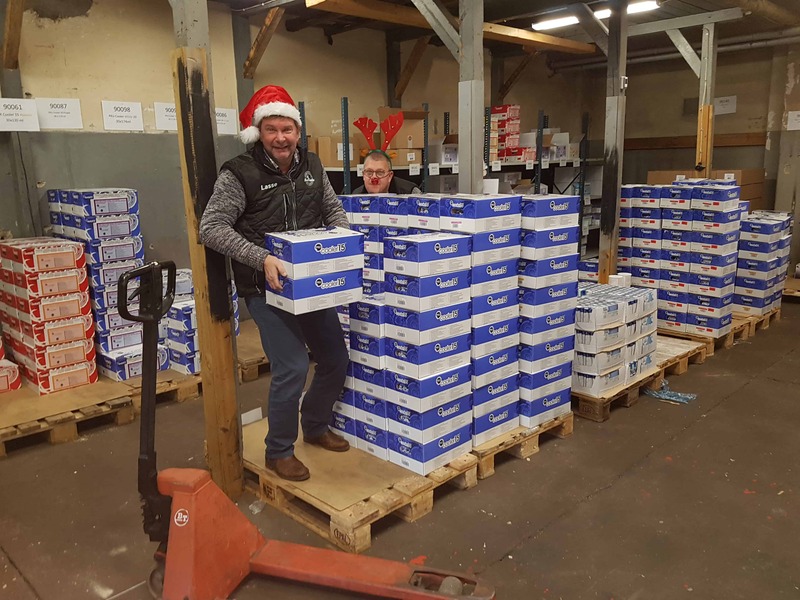 Christmas is around the corner and a forwarders life is as always hectic but what else is new…..
We all enjoyed the lunch together today. 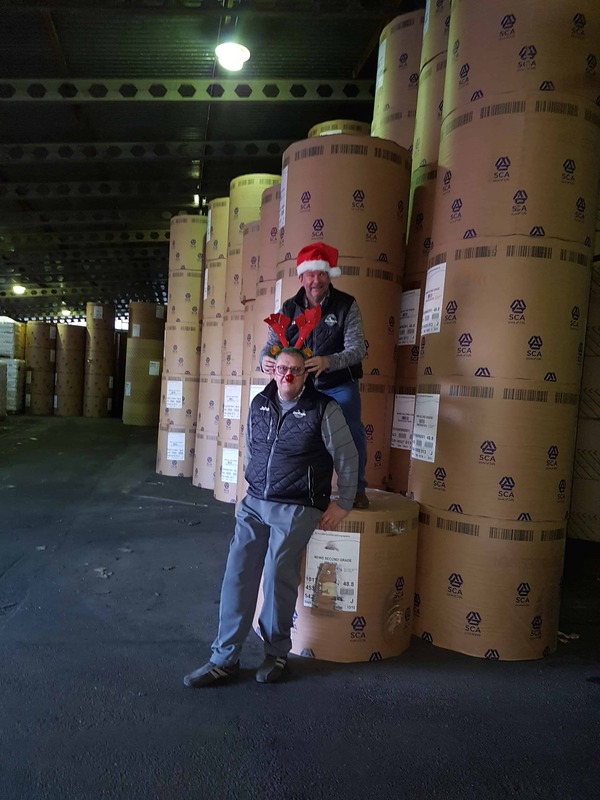 To handle Paper Products on export is a today a well known action for us freight forwarders. Some products are so sensetive that they can not barely take the weather conditions here in Scandinavia. 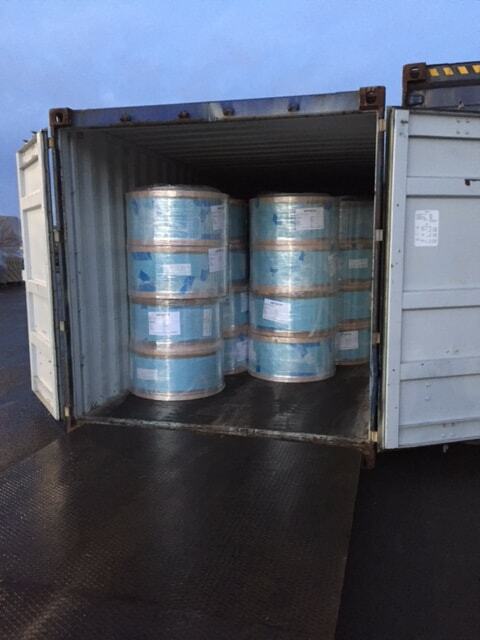 Today we for one of our VIP customers handled just this type of cargo. 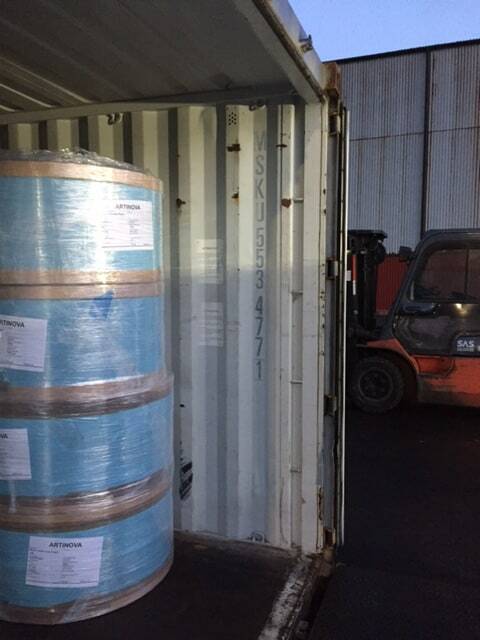 Empty container arrived at our warehouse at 07.00 and the cargo arrived at 07.30…. 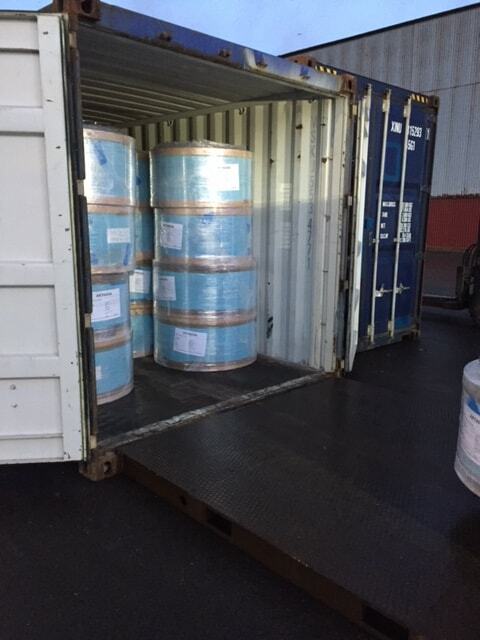 A direct cross-docking was performed were we loaded the cargo straight from trailer to container, blocked and braced the cargo inside and at same time export customs clearence was performed and at 09.00 the container was on it’s way to port, ready to be shipped to global destinations. 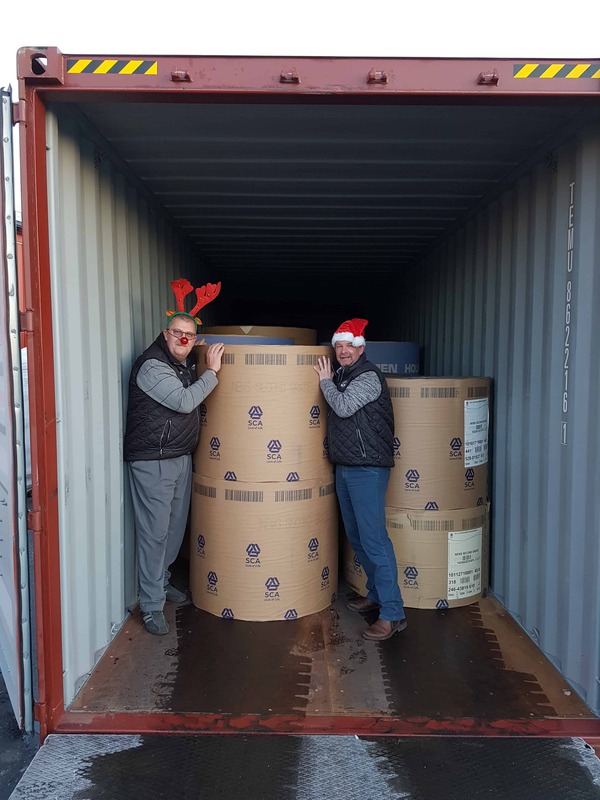 This is the life of a freight forwarder, always to work with focus on Just In Time and customer needs. 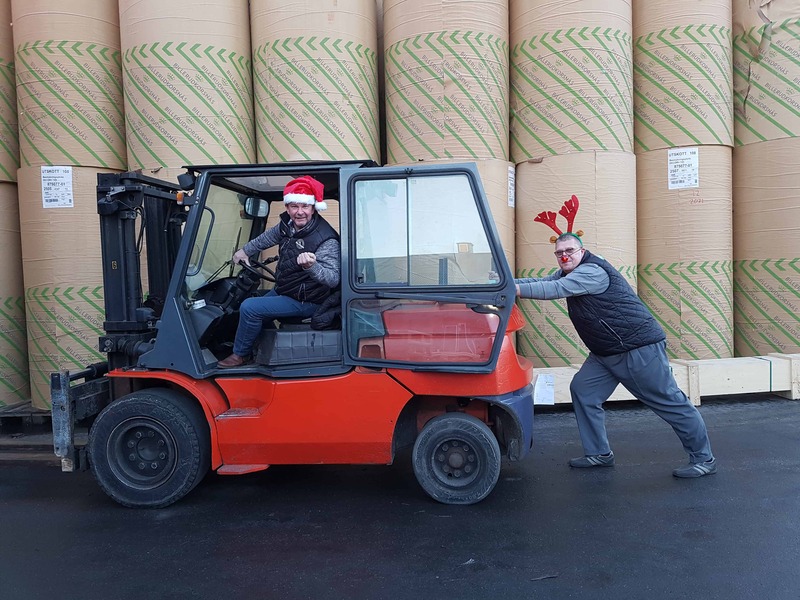 Dear reader, BJORA is a local service provider but we always go the extra mile for keeping our customers and their customers happy not only in Sweden but also globally were our company is hooked up with the elite forwarders in each country. Welcome to join us and to see the diffrent in service.